Filmed in nearby towns Bristol and Grundy, Virginia, “Believe” is a feel-good Christmas movie which premiered at the PUSH! Film Festival in Bristol this October and will be released in select theaters on Dec. 2. With members of the community and ETSU students taking part in the film’s production, “Believe” is the perfect holiday film for residents of the Tri-Cities to go see. “Believe” follows business owner Matthew Peyton (Ryan O’Quinn) as he struggles between his desire for financial success and the responsibility of funding the annual Christmas pageant. Matters are complicated further when Matthew meets Clarence (Isaac Ryan Brown), a joyful boy who believes in miracles, and he must decide between helping himself or helping his community. The Christmas season always seems to bring with it at least one big comedy blockbuster. Last year, it was “The Night Before,” and “Office Christmas Party” is 2016’s holiday-themed rated R comedy. The movie stars Jennifer Aniston as an office CEO who is trying to shut down her party-boy brother’s (T.J. Miller) branch of the business. In retaliation, he and his chief technical officer (Jason Bateman) plan a ridiculously huge office Christmas party for their co-workers and a potential client who could save their jobs. “Office Christmas Party,” being released on Dec. 9, seems to be an out of this world realization of every office worker’s dream party. “Star Wars” once again took the world by storm with 2015’s release of episode 7, “Star Wars: The Force Awakens.” Now, as fans eagerly await the promised eighth episode—set for a theatrical release in December of 2017—Lucasfilm presents the spin-off movie “Rouge One: A Star Wars Story.” “Rouge One” is essentially a heist film set in outer space. It features a group of unlikely heroes, before the downfall of Darth Vader, who plot to steal the plans of the Death Star in hope of saving the rebellion. Although the hype surrounding this film is far less than that of “The Force Awakens” or the untitled upcoming episode 8, diehard “Star Wars” fans are sure to appreciate this trip back to that galaxy far, far away. Jennifer Lawrence (“The Hunger Games” and “X-Men”) and Chris Pratt (“Guardians of the Galaxy” and “Jurassic World”) have both recently become Hollywood icons. It was only a matter of time before the two were paired together for an epic blockbuster. 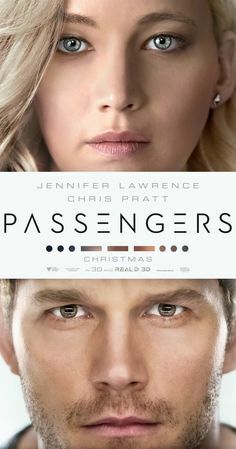 Luckily, that blockbuster is finally upon us in the form of “Passengers,” a uniquely original sci-fi adventure film about a man and woman who embark on a journey through space on a luxury ship where each passenger sleeps in individual hibernation pods until the ship reaches its destination. However, when there is a malfunction on board, two passengers wake up 90 years too soon. Little do they know, they and 5,000 other sleeping passengers are in mortal danger. Rated PG-13, “Passengers” will be released on Dec. 21. Two other big name stars have joined forces, as well, to create the ultimate must-see comedy flick over the holidays. 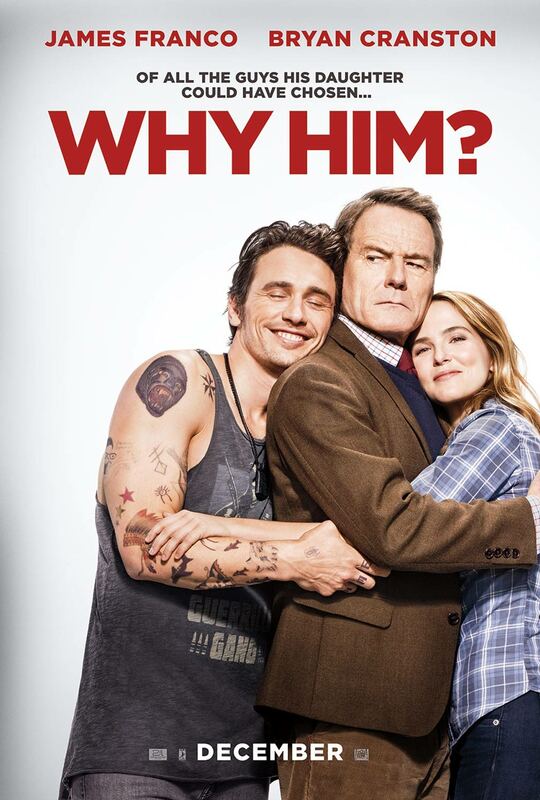 Bryan Cranston and James Franco co-star in the movie “Why Him?” Being released in theaters on Dec. 23, “Why Him?” features a plot like that of “Meet the Parents,” except instead of following a young man meeting his girlfriend’s father for the first time, “Why Him?” follows a father, Ned, meeting his daughter’s boyfriend, Laird. Laird is a billionaire but seems to have no other redeeming qualities, and Ned fails to understand what his daughter sees in him. When Ned learns that Laird intends to marry his daughter, he becomes determined to put a stop to it. Tags: BelieveHoliday Movie PreviewOffice Christmas PartyPassengersRouge One: A Star Wars StoryWhy Him?